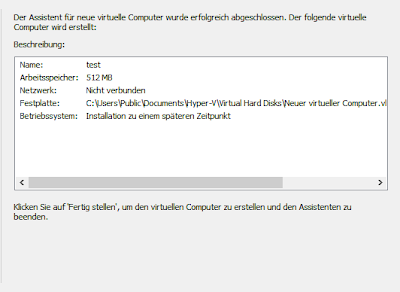 First try with a virtualization solution like Hyper-V is to install a guest. So let's try debian linux. A network adapter requires a virtual machine driver in order to work, but offers better performance. This driver is included with some newer versions of Windows. On all other supported operating systems, install integration services in the guest operating system to install the virtual machine driver. For instructions, see Install a Guest Operating System. For more information about which operating systems are supported and which of those require you to install integration services, see About Virtual Machines and Guest Operating Systems (http://go.microsoft.com/fwlink/?LinkID=128037). 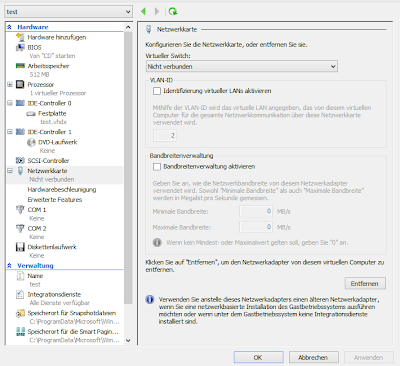 A legacy network adapter works without installing a virtual machine driver. The legacy network adapter emulates a physical network adapter, multiport DEC 21140 10/100TX 100 MB. A legacy network adapter also supports network-based installations because it includes the ability to boot to the Pre-Execution Environment (PXE boot). However, the legacy network adapter is not supported in the 64-bit edition of Windows Server 2003. And now think about, for which type of network adapter the standard kernel has a kernel modul (or you can get sources for)... Right. Only the legacy adapter. 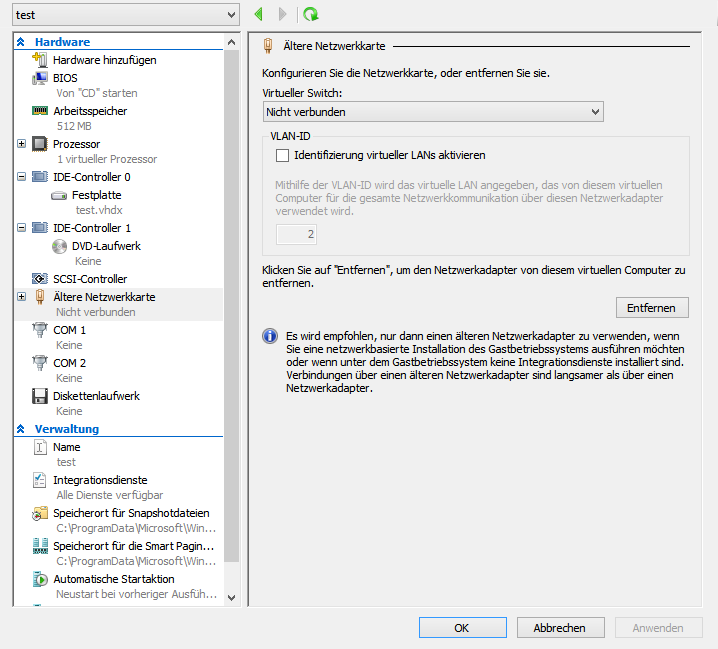 The bandwidth management is gone, but your kernel can use the tulip module and your network is working... 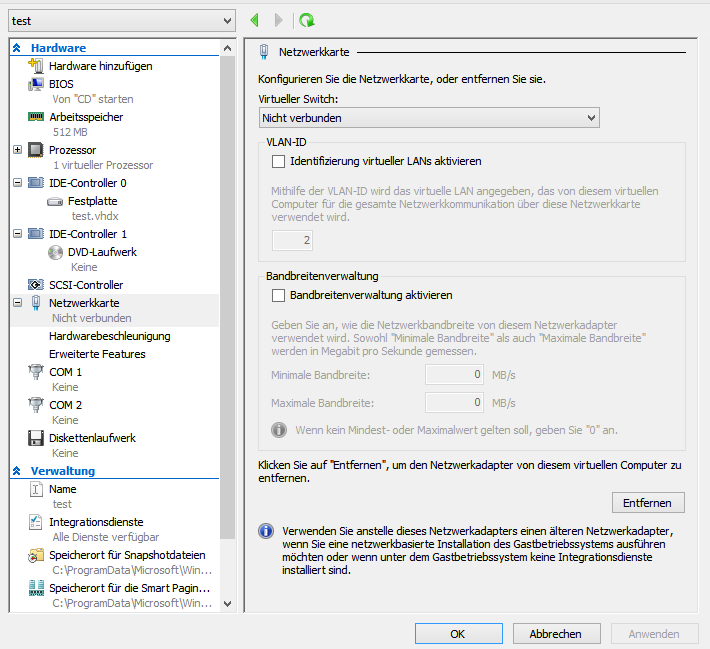 Here you have to choose a virtual switch, which you can create like described in these two postings: how to configure a virtual switch with internet connectivity or how to configure internet connectivity with NAT. 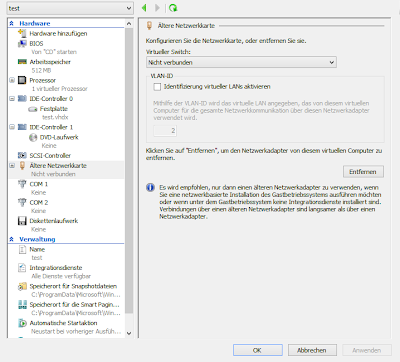 It is not really suprising, that Microsoft adds as default to each new virtual machine a network adapter, which only works on a few linux distributions. You can download drivers from microsoft via this page (scroll down to "integration services"). But to add the default each for every new virtual machine, so that you have to delete this one and add the "legacy" adapter. 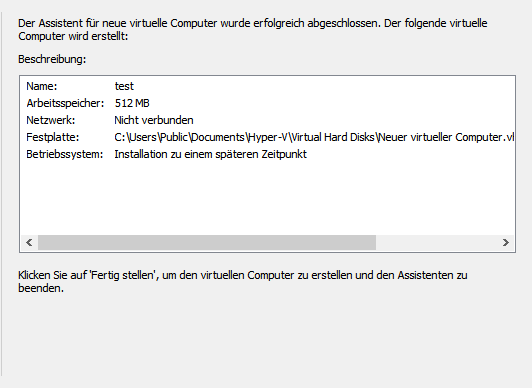 But after knowing this, it is no problem to install debian linux (or any other linux) onto your Hyper-V.